Stationed in the Philippines, 18-year-old U.S. Army private Joe Armstrong (Michael Dudikoff) is escorting a supply convoy when it is ambushed by rebelsone of whom he recognizes as a Black Ninja warrior. Instinctively, Joe defends himself using the esoteric martial art of Ninjitsuan ability that puts him under suspicion by his commander and fellow soldiers. Alone in his fight against corruption, the boy finally discovers the secret of his mysterious pasta secret that pits him against the evil Black Star Ninja in the ultimate martial arts battle. 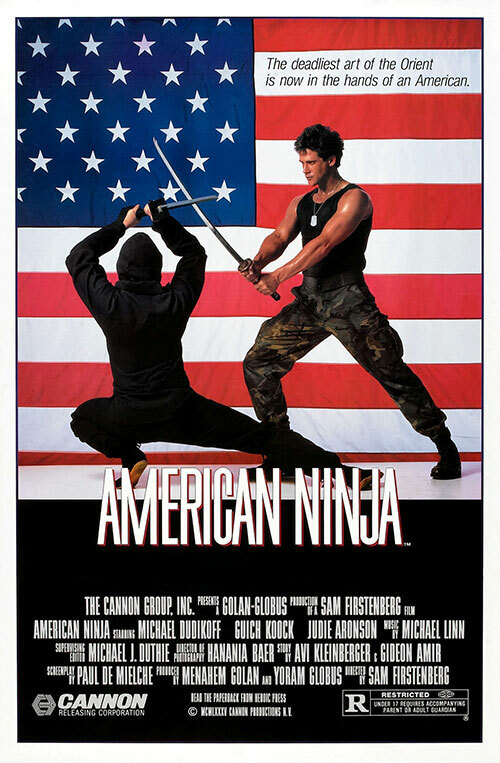 1 Response to "American Ninja (1985) Sam Firstenberg"